Imagine enjoying the pleasures of your ideal garden: entertaining in style; spending time with your friends and family in surroundings that really express your taste; seeing younger family members enjoy the outdoors; just relaxing in your own private sanctuary; perhaps growing fresh food for your table. Great bespoke gardens give year-round pleasure, work for your lifestyle and add living space and value to your home. You may have ideas about what you want, but not the time, knowledge, experience or contacts to achieve the results you want. Talking to the right garden designer is crucial. It can help you crystallise your ideas, and give you advice and support through the planning, planting and management processes to turn those ideas into reality. Talk to us. We’ll listen. We have a proven track record, and we’ll work hard to use our experience and skills to turn your wishes into the bespoke garden that really works for you. “We struggled to confine our praise into a short testimonial. Janet has transformed our tired and uninspiring garden into a beautiful and interesting outside space which we love in all weathers. Her well-considered design was realistic, imaginative and fun. “Janet is an exceptional plantswoman. She designed several very large mixed borders for our garden with interesting and colour co-ordinated plantings. Her design took into account the difficult site and the surrounding countryside, she gave us a detailed planting plan and supplied all the plants. Five years on, the borders are looking very mature and give us pleasure all year round due to the varied nature of the planting. I was first inspired to work in garden design by a love of hands-on gardening, and a real desire to create long-lasting outdoor spaces. 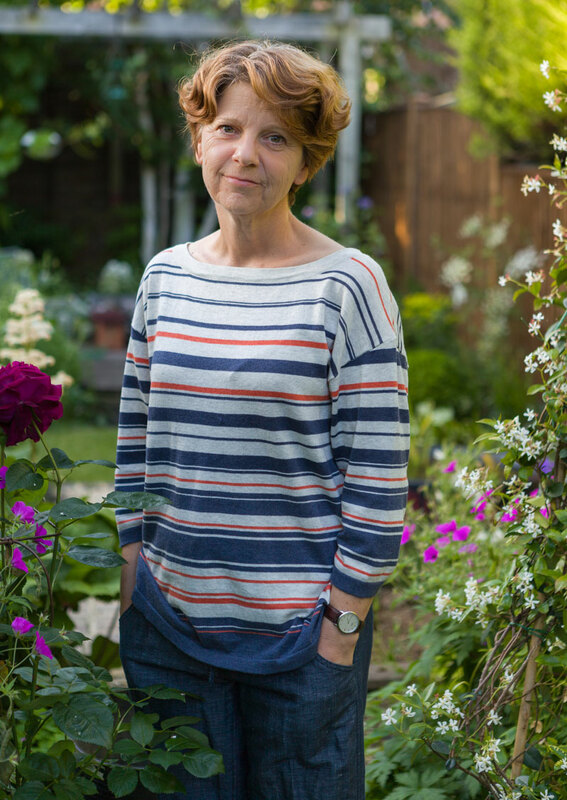 I studied in London and qualified in both Garden Design and Plants & Planting Design before moving to Hampshire in 2000, where I established a garden design practice with offices in Petersfield. After gaining my Diploma in Garden Design I was part of a team that won a Silver Medal at the RHS Chelsea Flower Show. My motivation comes from the unique, individual client needs that make every project a fresh challenge. The lasting pleasure that my work bring to our clients – who may be beginners or experienced, knowledgeable gardeners – gives me huge job satisfaction. Much of our work focuses on large long-term projects where I collaborate with clients, architects, interior designers and skilled landscapers, as well as a range of specialists – water, lighting, joinery, metalwork – to create outstanding and unique gardens for my clients. You can get a flavour of the broad range of projects we’ve completed on the portfolio pages, and learn more about our garden design service.